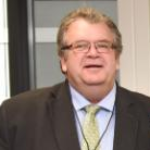 Former Namibian Ambassador to Germany and the Benelux countries, Mr. Hanno Rumpf, who also served the country as a Permanent Secretary in two portfolios has died at the age of 60. Margareta Rumpf confirmed the death of her former husband. Rumpf grew up on his family’s farm Combumbi in the area of Steinhausen. He received his secondary education in Swakopmund and studied political science, African history and economics at Rhodes University and Rand Afrikaans University in South Africa. During his studies, Rumpf was active in the progressive student movement and he had a brief stint as the Secretary General of the Namibian student movement. Hanno Rumpf was among a small number of white Namibians who left the country to join Swapo in exile in the early 1980s. He went into exile during 1984. He worked as a research assistant at the University of Bremen and qualified as a translator and interpreter. Later in the 1980s he worked at the Namibian Communications Centre in London, while attempting to pursue further studies. Between 1987 and 1989, Rumpf worked as press spokesman for the SWAPO Party in Bonn. After Namibia’s Independence, he served as permanent secretary at Ministry of Environment and Tourism (1990-1995), the Ministry of Trade and Industry (1995-1999) and the National Planning Commission (1999-2003). From 2003 to 2006 he was the Namibian ambassador to Germany. After that he served as the ambassador to the Benelux countries, Switzerland and the European Union in Brussels before retiring in December 2015. In 1998 Rumpf was awarded the Officer’s Cross of the Order of Merit of the Federal Republic of Germany for his role in strengthening bilateral relations between the two countries, in particular at an economic level.